Amelia has a job selling memberships to a charity that rescues kids in countries overseas. She’s invested the rest of her life in her beloved television shows, which provide her an emotional haven. Sonia is Amelia’s mother. She’s been given Compassionate Release from prison as she is terminally ill. She was convicted of murdering Amelia’s father. She’s moved into Amelia’s apartment with the aid of a social worker, Iris. 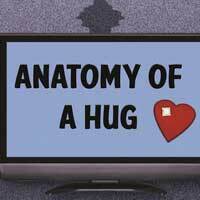 Amelia has attracted the attention of a decent, sincere co-worker named Ben, who introduces her to a wonderful human invention called a hug. Can Amelia possibly bridge the emotional chasm with her mother while there’s still time? Will the wounds of the past prevent Amelia from returning Ben’s affection?